Tennessee has only been a No. 2 seed in the NCAA Tournament two times in school history prior to this season. 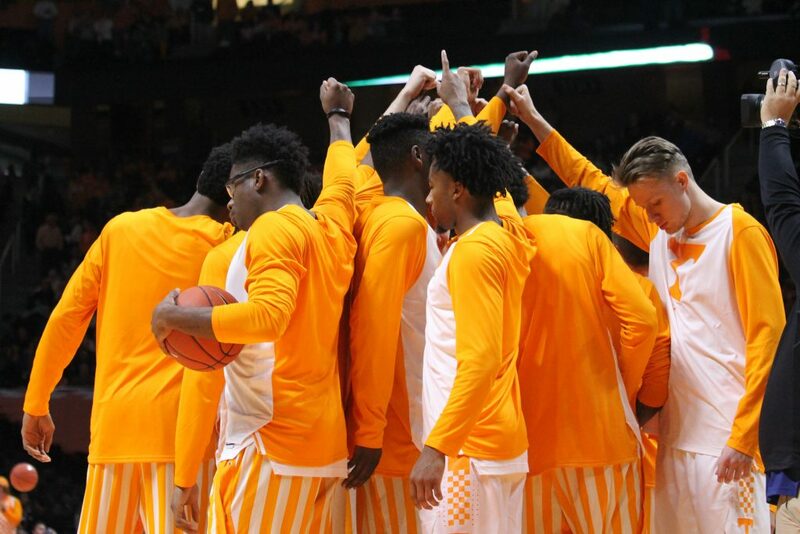 The Vols earned a two-seed for this year’s tournament, and it’ll be only the third time ever that UT has been one of the top eight overall seeds in the 2019 NCAA Tournament. Previously, the Vols have not performed up to expectations in the tournament when they’ve been a No. 2 seed. And at least one major publication thinks that trend continues for Tennessee this year. Mike Hume of The Washington Post wrote out The Post’s annual list of top seeds who are the most vulnerable to an early exit in the NCAA Tournament. This year marks the fifth year the Post has done so, and they’ve correctly predicted nine of the previous 12 teams to be bounced earlier than their seeding suggests they should (No. 1 seed should get to the Final Four, No. 2 seed should get to the Elite Eight, and the No. 3 seed should get to the Sweet Sixteen). Last year, their analytics correctly predicted that No. 1 seed Xavier and No. 2 seed Cincinnati would lose before expected, but they missed on predicting an early demise for Kansas. This year, Tennessee is listed as one of the three teams that are most vulnerable to see an early exit in the tournament. Assuming Tennessee defeats No. 15 seed Colgate and Cincinnati takes down No. 10 seed Iowa, the two teams would meet in the second round this year. According to Hume, the Bearcats are the No. 4 team in college basketball as it pertains to offensive rebounding. Cincinnati averages 12.7 offensive rebounds per game, and Tennessee gives up an average of 11.7 offensive rebounds a game this season. Tennessee has given up nine or more offensive rebounds 20 times this season, and they’re 16-4 when they do so. They’re 13-1 when they give up fewer than nine offensive boards to opponents. Cincinnati has brought down nine or offensive rebounds 23 times and is 18-5 when doing so. Interestingly, they’re 11-1 when they bring in fewer than nine rebounds on offense. Hume also points out that Tennessee has gotten fairly lucky when it comes to opponents shooting free throws. The Vols’ opponents have the 12th-worst shooting percentage combined, shooting just 65.5 percent from the free throw line against UT. Cincinnati as a team is shooting 70.4 percent from the charity stripe. Not only that, but Hume also notes that the game would be played in Columbus, Ohio, which is only an hour and a half away from Cincinnati’s campus. I pointed out yesterday why Vol fans shouldn’t be worried about Rick Barnes’ NCAA Tournament history, and while the Vols’ offensive rebounding numbers are certainly problematic, the numbers from the Bearcats’ perspective don’t really back up Hume’s claim that it would be a big difference-maker in that game. Tennessee should certainly be wary of Cincinnati if the two teams meet in the second round. The Bearcats are 28-6 overall and just won the AAC Tournament and had to take down a talented Houston squad to do so. They also beat Ole Miss, UCF, and Memphis during the regular season among their wins. The Vols aren’t the only team listed as a vulnerable top seed, though. Hume also puts No. 1 seed Virginia and No. 3 seed LSU on upset alert early in the bracket. This year, Tennessee will look to advance further in the tournament than they ever have as a No. 2 seed and further than they ever have as a program. The two previous times the Vols have been a two-seed, they’ve failed to make it past the Sweet Sixteen. In 2006, the two-seeded Vols lost in the second round to Wichita State, and the Vols earned a two-seed in 2008 and got blown out by Louisville in the Sweet Sixteen. As a program, Tennessee has only made it past the Sweet Sixteen once. That came in 2010 when the Vols were a No. 6 seed and made it to the Elite Eight. Tennessee will get their 2019 NCAA Tournament journey started on Friday of this week when they take on 15-seed Colgate. The two will tip-off at approximately 2:45 Eastern in Columbus, Ohio.